« Eating spaghetti bolognese PJ style! 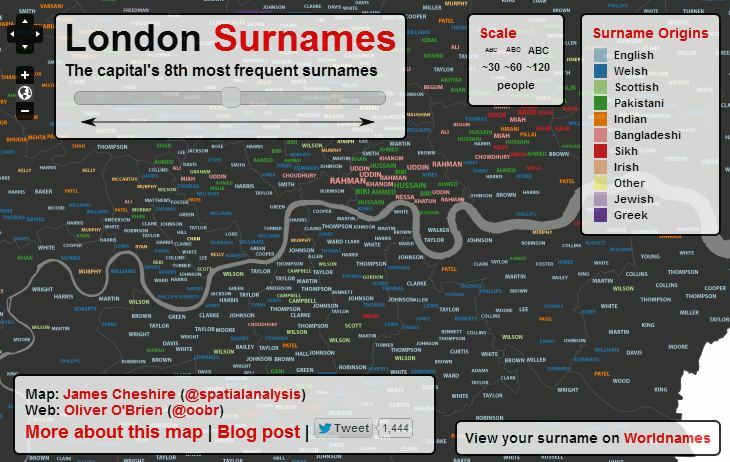 Thank you to Doug Belshaw for this excellent link to a London Surnames Map. I also like the World surname mapper which has a very low spatial distribution for my surname prettejohn unsurprisingly. Make sure you zoom in on the map to get greater accuracy. This entry was posted by Chris Prettejohn on September 2, 2012 at 1:32 pm, and is filed under Maps. Follow any responses to this post through RSS 2.0.You can leave a response or trackback from your own site.